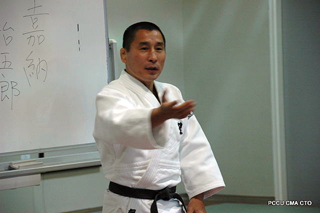 Shinji Hosokawa, who is now a member of the IJF Grand Masters Commission, is also a World Gold Medallist and Olympic Champion. He explains us what respect means for him, in reference of the recent catastrophes, that Japan has witnessed. Olympic Games 1984 © David FinchI think every Judoka knows the principle of Judo as ‘Seiryoku Zenyo’ and ‘Jita Kyoei’ which were preached by Jigoro Kano Shihan. This year, when we suffered from terrible disaster of earthquake and Tsunami in March and also Typhoon in September, I strongly felt that this principle is widespread all over the world and pursued in many countries. 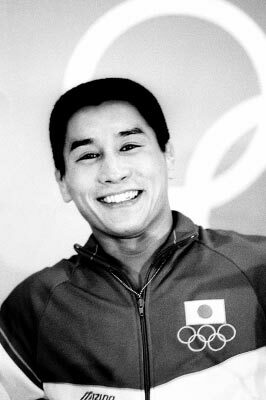 I received a lot of emails and phone-calls from Judo friends around the world and they offered to help us. Furthermore, IJF decided to give the monetary donation and French Judo Federation held the charity competition ‘France vs Japan’ for the victims in Tohoku. In addition, many Judo friends are helping Japan to recover. I do believe that Judo friends in the whole world are the ones whom we must respect and esteem for. Recently, I’ve been having many opportunities to contact with Mr.Vizer, President of IJF, and other IJF members since I am a member of the IJF Grand Masters Commission and help Judogi control in the IJF competitions. Then I am deeply impressed that all of them are paying their respect to Japanese Judo and they are sincerely seeking further development of Judo, such as the diffusion and development of the right Judo, providing support to developing countries and their athletes, the spirit of fair play, courtesy, and the quality of Judoka, etc. This action is not only taken by IJF, but also throughout the world. Again, I believe that we must respect and esteem for Judo friends around the world more than ever.